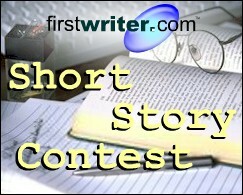 The deadline for firstwriter.com's Eighth International Short Story Contest has been delayed by one month to May 1, 2012, to allow for last minute entries. David Allan Williams recently acquired a publisher using firstwriter.com's database of publishers. We asked him about his writing, and how he found success. fw: Thank you for taking the time to talk to us, David. Could you tell us a little about your book, and what it's about? DAW: Light Surfer is about a savant computer programmer named Tony Jess. Tony lives a relatively normal life thanks to his childhood psychiatrist, but when his mother passes away some cracks began to form in his psyche. One of these cracks puts Tony in possession of a computer virus that would turn all zeros to ones on all electronics on the planet. After a series of nightmares, Tony believes he needs to save the world from a species he calls the Calvin. His current psychiatrist, one Dr. Carl Baird, believes Tony is schizophrenic, however, he is one of the few people to believe this. Apart from a few emails, and a couple of love letters (which I hope have not been published), it was my very first attempt at writing, though I have always been very creative and persistent in any of my endeavours. fw: So what made you want to write a novel? The inspiration come from knowing that my time as a warehouse manager was coming to an end, and at my age I did not think I could successfully land another manager's position, so I had to find another avenue to pursue. fw: Did you draw on any of that experience for your ideas, or did they come from somewhere else? DAW: The idea for the manuscript came completely from my knowledge of computers, programs and a general love for science. The rest of the story grew with the development of the characters, and with the research I did for the book. The characters' first names are the names of my friends but that’s where the comparison ends. The characters took on a life of their own and a personality of their own when I started writing. The research into psychology helped me to identify each of the character traits and also gave me ideas about where to take the characters in the books. fw: Once you'd got the idea, how long did it take to write? DAW: It took me just over a year to come up with my first manuscript for editing. Then it took me another year to change it to make it interesting. Initially I wrote a small 20 page plot, an outline of the story, and then I added the characters and the detail in the story. I pretty much stuck to the plot but I intertwined smaller subplots to the story along the way. The writing process to me was quite enjoyable, and it was broken up with research. I would say about 60% of my time was research and 40% was actually writing. fw: What did you do to try and get it published once you'd finished? After that ego boost, I started looking for publishers myself, and bypassed the agents. fw: How did you go about doing that? DAW: I did a Google search to find agents and publishers for Sci-Fi, but really I only got a few listings that I could count on as being factual. I did however get my first taste of the "Vanity market" publishers, and there were so many of those that it was almost impossible to shake them off my tail for months after contacting them. I stuck to my editor's words that my book would eventually pick up a publisher and refused to self-publish. Sure I was tempted, but I suppose I needed to know that my manuscript had an investor; someone else who thought it had potential other than myself, who had an obviously biased opinion. That’s when I decided that it was worth the effort and cost of signing up for life to firstwriter.com. fw: How did joining firstwriter.com differ to just trying to do searches on Google? DAW: When I first signed on I was overwhelmed with how many different avenues I had to get published. It was through firstwriter.com that I found my three hundred email addresses, and they also gave me details I could not get anywhere else such as… would the publishers be open to new authors? Would the publishers accept electronic submissions? Even some detail on the quantity of new releases per year they took on. The filtering process made it easy for me to scope out the best targets and streamline my applications. Make no mistake, it still was not easy, there was a lot of hard work. firstwriter.com also had a lot of useful information I did not even know I was going to need, such as registering my work for copyright protection. All the links to all the information and tools was right there in one place. Most of the information on the firstwriter.com site I researched myself before I stumbled across firstwriter.com, but having it all there to confirm my findings was a sure sign I was on the right track. fw: Once you'd used firstwriter.com to identify leads, how did you go about approaching them? DAW: Before I sent my submissions I looked through their previous published books. I did not buy any, just looked them up on Amazon so I could see a sample of the writing they were after. I did not reject any opportunities this way, but I knew who I was in with a chance with. I looked up the publisher’s web page for their submission details and I followed every piece of string they offered me and jumped through every hoop they presented me with. They asked for their submissions in a specific way for a reason, often one that was beyond my understanding. But on the positive side, they all gave good advice on how to write a good submission letter. I still am not sure I got it right though. It goes both ways as far as the environment is concerned. I never once submitted to a publisher that required postal submissions. In this day and age if a publishing house did not know how to be environmental I refused to deal with them. If they request you post them a submission they are not very electronic and need to come a long way to be in the 21st century, and I wondered how they would publish my work electronically if they could not receive electronic manuscripts. My views only, but I was not budging from them. fw: How long did you spend searching before you were successful? DAW: It took me over one year, and I approached about 300 different agencies/Publicist. I still have the emails. DAW: I received many rejections. It’s a tough thing to go through but after the twentieth or thirtieth rejection email it becomes customary to expect I was going to receive one. I expected that most of them were unread when rejected but it is pointless pushing the issue or asking why. If you want to know why then you need to get your work professionally assessed. Most of the rejections were polite, even if standard responses. I was surprised and had to read it a few times when Savant Books and Publications come back and said yes to make sure I was not actually dreaming. fw: What do you think it was that made them accept your work? DAW: I am certain it was because of their name “Savant” and my main character was a savant. After all, it was the one thing that stood out to me when I submitted to them, but to be honest after researching their webpage I think they were serious about finding new talent. fw: And how are you finding things now that your book's been accepted by a publisher? DAW: I never had children but Light Surfer did give me that feeling. Working with my current editor and the team from Savant has been nothing less than a nurturing process. My editor pointed out flaws in my plot that I was too close to see and the editor and chief of Savant Book and Publications has been keen to see my other work. It is my hope that I only ever have this type of experience in all my publishing endeavours and hope that I can write what Savant are looking for, but I am realistic that I will need to go through this process with all my future works. The other thing a new writer must keep in mind is that usually you will be under contract for the new book to go well, and the publisher has experience and understands what will make the book sell well, so on that level you really should try to understand where their changes are trying to move your work. fw: So where do you go with your writing career now? DAW: I have recently been made unemployed and now am a struggling writer. I am about to move to writing full time, well I am about to add another 10 hours a day to writing more manuscripts. It is my aim to make this a full time career, but that depends entirely on my next manuscript and how successful Light Surfer becomes. Honestly I don’t know if I will be successful enough to even make a living, but I am pushing it as hard as I can. fw: Well, best of luck with everything, David. Do you have any closing advice or tips for other writers? Have patience. Two years is a long time to dedicate to 70,000 words, but it will get easier. I myself had finished another two parts to Light Surfer and a romance, in the year it took me to find a publisher for the first one. Finding a publisher was the hardest part in the whole process. Turn off the Television. Use that time for writing. You need to write for at least four hours a day, not because it takes so long to write but because you need to get absorbed in your work to have that creativity flow, this is not an email you’re sitting down to write. I disconnected my television from the aerial so I could only watch the occasional DVD. I was working 12 hours a day while I wrote Light Surfer so my spare time could not be wasted watching television if I wanted to have the book finished this century. In the extensive research I did about how to write, I realised no-one sits and writes a novel in formal steps from A to Z, It is okay to go A,Z, B, Q, F, Z, A so long as you keep track of all the intricate plots. Pay to have your work assessed by someone reputable. If you get a bad assessment start again or quit writing. There are a lot of people who think they can write that can’t and probably shouldn’t. It cost me a lot of money to have an editor go over and assess my first draft. Most people tell me I got cheated, and badly, but her positive comments on returning my manuscript were the only reason I continued. I considered it an investment in myself, well I had already invested a year to write the book. Commercial viability is the key. Your first paragraph is the most important. If it is hard to read or not interesting, nothing else will be read. Keep this in mind when you are writing the book. The first words are the most important and unless your name is Stephen King there is every chance even the first line is not read by a potential prospect (publisher), so you might not even get that one opportunity. Don’t think you can waste it when you stumble across it. Hold it for a month and forget about it. It’s a hard thing for someone to do, especially since you think it is the number one seller and you want everyone to read it the following day. Patience is the key here. Forget about it for a month, and then go over it again before you send it off to an editor, agent or publisher. The mistakes you fix in the plots and writing during this last read through could have been the ones that would make the publisher reject it. Follow the guidelines for each and every publisher and agent you submit your work to, to the letter. Mostly they receive so much material from so many people who could not be bothered that it ends up sitting in their email delete folders. If you can’t be bothered why should they. To find the publisher for Light Surfer it took me over 300 individually written applications for submissions, each time I started fresh. As I said before, this is the hardest part of the whole process. I knew even though I submitted correctly I was still not being read and it made it a thankless task, but it paid off. Always remember that J.K. Rowling went through all the above and still received countless rejections. Remember she is a one in a million. You would be better off trying to win the lottery than to think you will make as much money as she did in her first series. Most writers don’t make it big until their third, fourth or fifth books. If all you are doing is chasing money, and you do not have the passion to write more than one book, if you are a vanity chaser and are only in it to say you are published find a vanity publisher. I discovered that not every publisher wants the same size book in your genre, and not every publisher works by word count when working out how big the book is. Because you have no idea who your publisher is going to be don’t worry about the size of the book, just write until all the plots are closed off, unless you plan to have a sequel. Light Surfer was originally going to be two books but publisher size requirements made me cut them into four, this had me rewriting A, Z, K,L, O and P, be prepared to change your book to suit your publisher. You will have read your manuscript more than 20 more times before you see a copy in print. Be prepared for this part of the process and be patient with your editor. The editor is going to make your book readable. A lot of writers don’t like to work with their editors even taking insult to their changes, making it difficult for them to improve your manuscript. They are editors for the publicist for a reason, they know how to make your work presentable. If you are not prepared to invest in yourself, don’t expect others to freely invest in your work. It can be without a doubt a rewarding pastime but if you are not passionate about it and only in it for the money go and buy a lottery ticket instead. It’s a lot less heartache and has a better chance of success. Don’t have your friends read and comment on your manuscript, unless they read more than a book a week. Their comments and views, which are always positive, will not be honest and even if they are you will not think they are. Get prices on several different editors, have your work edited and have them comment on the manuscript. fw: Thank you again, David! For information about editorial services available from firstwriter.com click here. To search for a literary agent, click here. To search for a book publisher, click here. Paragram are inviting submissions for their next anthology. The theme is "Connections". They welcome poems of up to 40 lines or 500 words of prose. The deadline for copy submission is midnight July 1, 2012. This is your opportunity to see your poems or short stories in print and all who are included will have the opportunity to perform their work at future Paragram Poetry Events. Paragram are also organising an open mic night is at The Chertsey Bookshop, 95 – 99 Guildford Street, Chertsey, Surrey KT16 9AS, on Friday April 13, 2012, between 7.30pm and 9.30pm. Contact Sally J Blackmore now at sjbpoetry@gmail.com or visit http://www.para-gram.com for more information. The British Thyroid Foundation, based in Harrogate, is celebrating its 21st birthday by running a Crime Writing Competition to win a pair of tickets to the Theakstons Old Peculier Crime Novel of the Year and Festival Opening Party, hosted by Mark Lawson in Harrogate on Thursday July 19. One in 20 people will be diagnosed with a thyroid disorder at some stage in their lives. The BTF is a national charity that helps people avoid isolation and gain information, support and understanding about their condition. The British Thyroid Foundation is calling for crime stories of up to 2,000 words on our theme "Go for the Throat", which is where the thyroid is situated. The panel of judges includes Gill Knox, a novelist based in Harrogate and author of The Legacy of Talents published by Troubador Publishing Ltd. Send your crime stories on white A4 paper in Ariel 12 point double spaced text with a cheque for £3 made payable to The British Thyroid Foundation, and post to BTF, 2nd floor, 3 Devonshire Place, Harrogate HG1 4AA by June 30, 2012. All proceeds from the £3 entry go to the charity. Call 01423 709707 / 709448 or visit our website www.btf-thyroid.org for more information or to make a donation. The Basics of Writing & Getting Published... a 32 page booklet for writers teaching the basics of writing and getting published, is now available for $5 per copy, (Canada and out of USA $7.50 per copy). "I have 250 copies left so hurry and order your copy today. They're going fast," says author Marcella Simmons. "Let me help you learn the basics of writing and marketing your work without the hassle. My booklet The Basics of Writing... is a must read that every writer should have. It is ideal for writers groups and classes". The Basics of Writing... is an ideal reference guide for writers groups – it covers everything from finding ideas to write about, making time to write, to tax information; information on marketing your work including several literary markets, how to submit articles to cover letters, and so much more – all in one 32 page booklet. "Let me help you learn the basics of writing and getting published the easy way. Editors of writers magazines don't cover everything on the basics of writing in one issue. In my 32 page booklet, I guide you through the process of writing, making use of your writing time, manuscript preparation and much more, and I provide you with writing assignments that you can use time and again that are suitable for submitting to many publications. Coupled with the basic knowledge and your writing capabilities, you'll become a published writer in no time."